- What will be the fallout from the heated confrontation between TNA President Dixie Carter and "The Phenomenal" AJ Styles? The wrestling world is buzzing over what happened - and no one knows exactly what the aftermath will be! Are AJ&apos;s days numbered in TNA after what he said to the President of the company? How will IMPACT General Manager Hulk Hogan react? We&apos;ll hear from The Hulkster on Thursday! Don&apos;t miss it! - In a bout just added, it will be The Main Event Mafia vs. The Aces and Eights in six-man action as "The Icon" Sting, Samoa Joe and Magnus battle Knux, Garett Bischoff and Wes Brisco! Can the Mafia keep the momentum in their war against The Aces and beat the gang on Thursday? With dissention in the ranks of the Aces, the Mafia is going all-out to eliminate the faction from TNA! - With &apos;Bound For Glory" less than a month away, World Heavyweight Champion Bully Ray is preparing for his biggest match of the year against AJ Styles! However, will friction within the ranks of the Aces and Eights work against Bully Ray? Can the gang&apos;s leader rule with an iron fist and re-establish order - or are we witnessing the implosion of the group, along with Bully Ray&apos;s dominance in TNA? - Also on IMPACT, the X Division Championship will be on the line as Manik defends against Chris Sabin! Sabin shocked the wrestling world this past week when he attacked Manik, leading to the match between the two X Division superstars. Will Sabin regret his attitude change, or is he set to once again reclaim the gold and dominate the X Division? - It will six-person action on Thursday as Eric Young, new Knockouts champion ODB and Joseph Park team up to take on The Bro Mans (Robbie E and Jessie Godderz). BUT - the Bro Mans need a Knockout to join them in the match with ODB involved! Who will Robbie and Jessie recruit to team up with them on Thursday night? Tune in and find out! All this and much more on Thursday&apos;s LIVE IMPACT on SpikeTV at 9/8c from Little Rock, Arkansas! 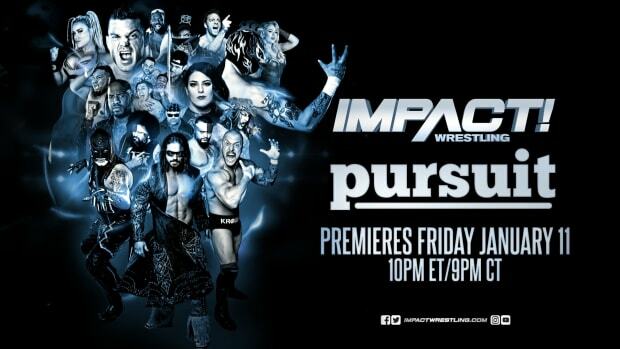 Be sure to join us for live play-by-play coverage of Impact Wrestling right here on WrestlingNewsWorld.com. Be part of our live Watch Party where you will interact with other great wrestling fans around the world like you never did before! All of it starts at 8:30 EDT. I am starting a new weekly feature on TNANews.com dubbed #TNATalk. If you are familiar with WrestlingNewsWorld.com&apos;s Ask WNW, then you will completely understand this. Send questions to me regarding TNA Wrestling/Impact Wrestling either opinion questions or information you may want to learn about. Send in your questions here. The questions must have proper grammar and correct spelling. If you are attending tonight&apos;s Impact Wrestling event, I would love to hear your response/feedback of the event plus any photos you want to send! Please send them to arbtna@yahoo.com.